In case you ever go visit the Bagalkot district in India, avoid the “Did your mom drop you on your head as a baby?” joke. It might strike a nerve or two, but in the Bagalkot district of India’s Karntaka state, it is common practice. This ritual is performed by throwing babies from the side of 15-metre tall temple, particularly if the baby is from a newly-wed couple. (Cue large gasp of horror from reader.) Don’t worry, concerned reader, the babies don’t fall on the ground. They are caught in a large white sheet held by men waiting below. This ritual has been practiced for more than 500 years at the Marutheshwara temple. The followers believe the ritual gives the child strength, courage and intelligence, and is a token of good luck. Imagine a large container filled with spoiled milk, rotten eggs, mud, flour, smelly sauces, sausages and feathers. 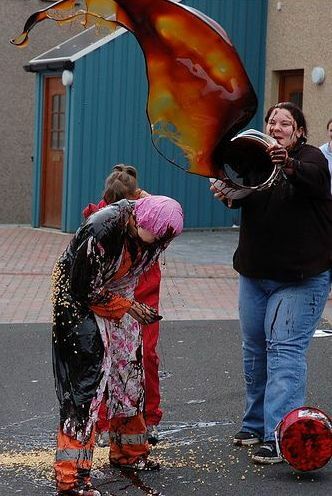 Now imagine that container being dumped on you on your wedding day. As appealing as the idea sounds, it is reality for brides in the traditional parts of Scotland. After being covered with revolting substances, the bride and groom are taken to the local streets or pub to announce the wedding. Some Scotts believe this embarrassing ritual will prepare the bride for humiliation she will face later on in life, while others believe it wards off evil spirits. If you’re faint of heart and a serious meat-lover, southern Thailand might not be the most ideal place to visit in the fall. Every October in the city of Phuket, Thailand, citizens do not eat meat products for nine days. Instead, men and women puncture their mouths with knives, spears, swords or other sharp objects. 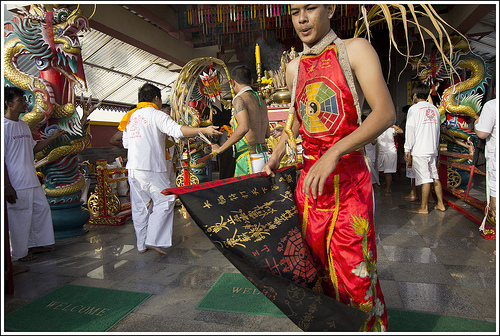 They believe that they will be protected by the Chinese Gods from any harm or physical pain. 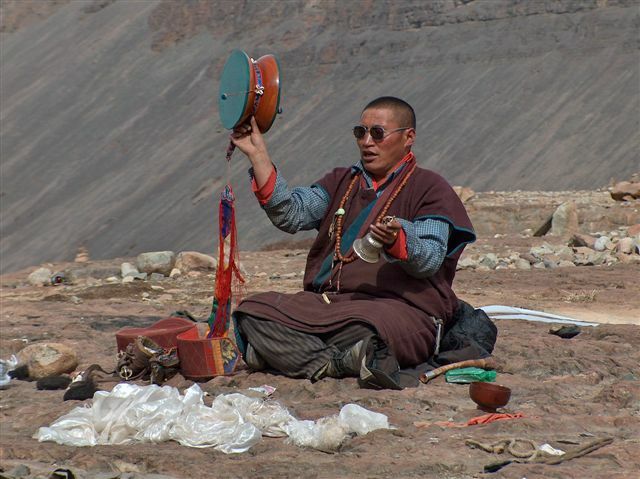 Surprisingly, many involved in the ancient ritual don’t suffer from any serious scars or wounds. By adhering to a strict vegetarian lifestyle, citizens believe they will be able to attain peace of mind, tranquility and good health for the rest of the year. Think your university fraternity initiation was brutal? Think again. 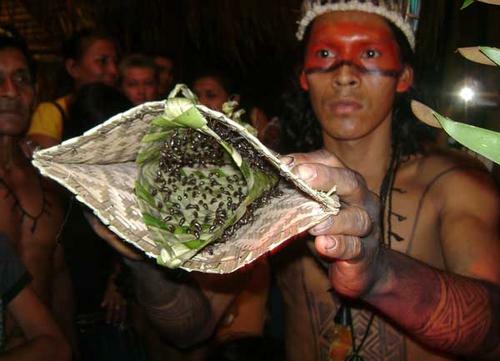 Young men from the Satere-Mawe tribe of the Amazon must wear a glove set filled with giant bullet ants as a form of initiation. Why the eerie name? Because one bite from this insect feels like getting shot. The glove set is worn for 30 minutes and 25 times in a row. To make matters worse, the ants are irritated before the gloves are put on so they bite quickly and furiously. Only if the tribe members survive this intense pain are they considered an “adult” in the tribe.